Nothing can provide the power of security and surveillance better than a Closed Circuit Television or CCTV digital system. Analog digital security provides adequate security and surveillance, but with the advent of the CCTV digital system there are far more beneficial features and options available. In fact there is a CCTV digital system for just about every security or surveillance situation. A standard CCTV digital system is based on components. That means that individual devices (i.e. components) can usually be mixed and matched to adapt to a variety of uses to create the ultimate CCTV digital system. The three components, digital cameras, Digital Video Recorders or DVRs, and monitors provide the flexibility of versatile applications while maintaining the power and integrity of a single, complete and easily controllable system. CCTV digital systems are expandable so they are great for both residential and commercial applications. Security Camera King offers the “Complete 16 Channel (i.e. 16 camera inputs) DVR Ultimate Security Camera Package with Bulk Cable” as its finest, top-of-line digital system. Although this package can handle sixteen channels which is adequate for most security applications, if more cameras are required, additional cameras with an additional DVR can be added. CCTV digital system camera’s have a wealth of features and options to make them applicable to almost any application. In addition to the standard box, bullet, or dome shaped cameras CCTV digital systems can easily employ the use of covert video surveillance cameras such as hidden or disguised cameras. This is possible because the digital cameras can be manufactured in such incredibly small sizes. Other optional features of CCTV digital systems include using the Internet for networking cameras or DVRS and for providing access to CCTV digital systems anywhere in the world that there is broadband Internet access and a suitable device (computer or smartphone). CCTV digital systems can also have object tracking or following as part of the software that is supplied with either the DVR or Pan-Tilt-Zoom (PTZ) cameras. Object tracking makes CCTV digital systems an excellent choice for commercial parking lots or for following individuals in open spaces. Digital Video Recorders, like their analog ancestors the VHS or Beta video recorder, can store digital video files for later use or archiving, or can render them in real-time for live viewing. 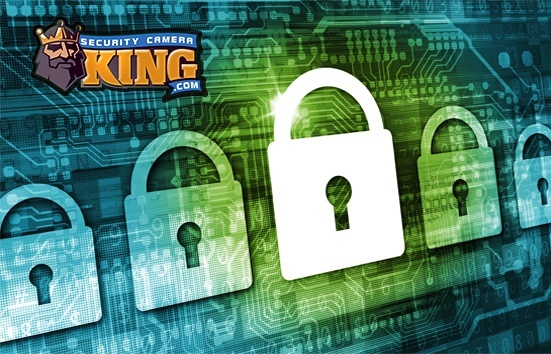 Security Camera King’s featured DVRs even have the ability to stream the digital images from our CCTV digital systems over the Internet. Unlike analog recording mediums, long-term digital storage media (CDs and DVDs for example) don’t allow the quality of the video image to degrade over time. The third component of the CCTV digital system, the digital monitor, has also offered vast improvements over its analog ancestor the CRT monitor. Digital monitors can provide High Definition (HD) images or several camera images on just one monitor. In addition, these monitors are much lighter so they can easily be wall or ceiling mounted. Furthermore, they use a lot less power to produce their pictures than their older counterparts. Finally, since every component of a CCTV digital system now operates based on digital data, many of the individual electronic parts of the system are the same parts used in the personal computer world. CCTV digital system cameras are similar to webcams; DVRs are similar to computer hard disk drives; and security monitors are similar to computer monitors. If you have any additional questions about the individual components of a CCTV digital system or are considering the purchase of a CCTV digital system, contact one of our security experts today. They are easily accessible via the “Live Chat” option or by telephone.